One conlusion: only one Médoc can compete with the First Growths: Château Léoville-las-Cases. Always a good investment this wine ;-) Costs about 1/3 of a First Growth. In comparison Palmer has become too expensive. - Latour apparently had a problem in 2007: where it always ended up in place 1 or 2 it now ends up in place 5. In 2003, 2004 and 2005 Latour even scored the maximum of 60 points in Peter's comparison! Another interesting detail: 2007 was the first vintage made without Frédéric Ardouin as technical director (Ardouin is now working for Château du Tertre). - Lowest scores for: Margaux 2002, Haut-Brion 2006, Mouton-Rothschild 2003 and Léoville-las-Cases 2001. What to think about this? 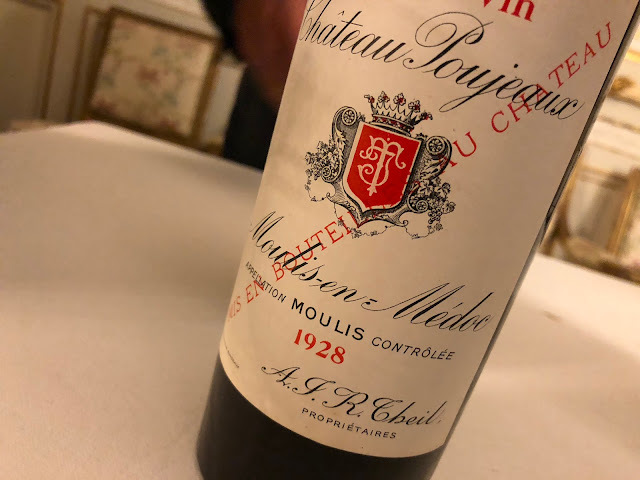 At least that we should take into account that − in general − ratings can be mutually compared within a vintage, but not necessarily between vintages. Well perhaps a little bit: Robert Parker for example has definitely given lower ratings for the Bordeaux 2007 vintage. Anyway, if you want to read the whole story (quite convenient if you understand Dutch), here's the link to Peter Vergote's posting. Quite a ballgame altogether. It's the last summer weekend (officially), and the last summery weekend (supposedly), so I will leave my computer now and pour myself a nice cold Loire rosé!